Novell inside out engagement ring style ET20294 (yellow gold inside) is available without the center diamond (semi-mount). 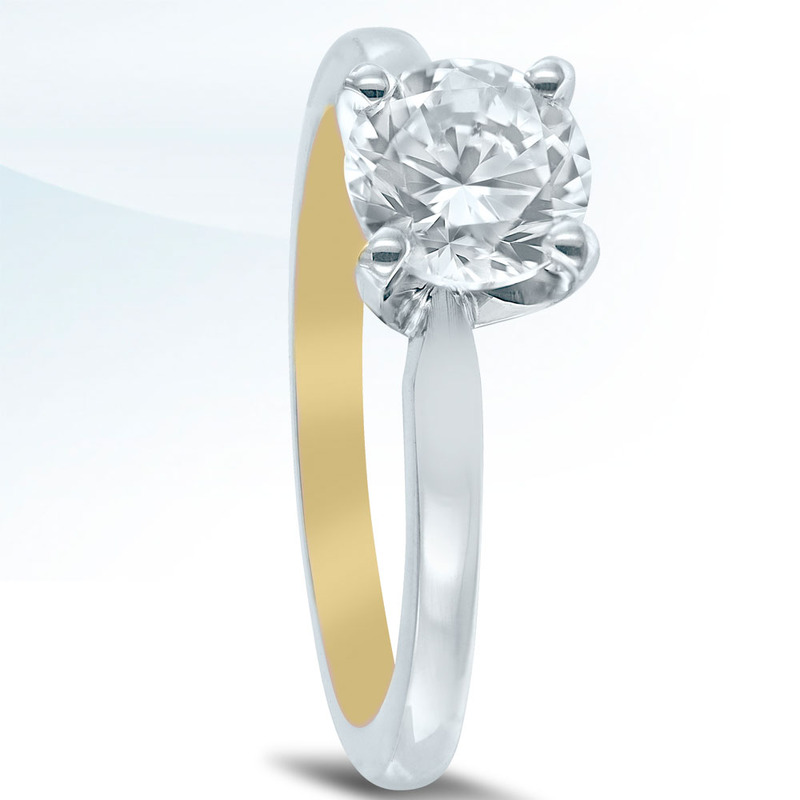 Your beautiful center stone should also be set with a head made from platinum – the strongest of all precious metals. A complicated bonding process creates a broad color palette, using yellow, rose and white interchangeably. Would you like a price? Need help finding the right center stone? Contact an authorized retailer.